Ramat Gan, Israel, August 20, 2018: Buyer registration for the seventh Israel Diamond Week in New York, to be held October 15 – 17, 2018, is now open. 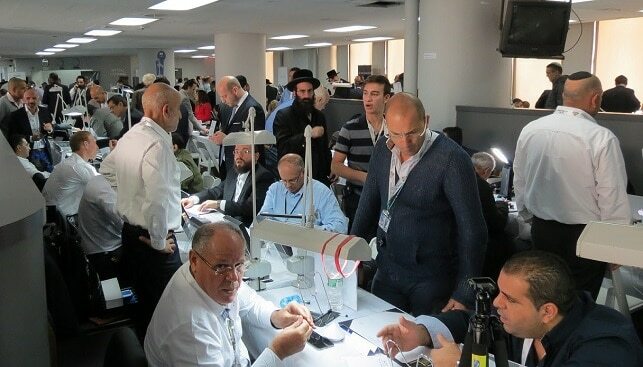 The popular annual event, jointly organized by the Israel Diamond Exchange (IDE) and the Diamond Dealers Club of New York (DDC) is inviting bourse members, jewelers and other buyers from the New York metropolitan area and around the United States to take part in this exciting diamond trading platform. The event will be held on the DDC’s new trading floor in the International Gem Tower in Manhattan, which was inaugurated this year. Dozens of IDE and DDC member companies will offer a wide selection of goods at a variety of price points. The organizers expect that several hundred diamond buyers, jewelry manufacturers and retailers will attend the event. IDE President Yoram Dvash said, “We are thrilled to once again hold the Israel Diamond Week in conjunction with the DDC. The annual show has become a very important event on the US – Israel diamond calendar. This year the timing is great, offering buyers a perfect opportunity to fill their diamond needs right before the busy holiday season”. “After the holidays we invite buyers to restock their diamond needs at our annual International Diamond Week in Israel, which this year will be held January 28 – 30, 2019″,he added. Registration for the Israel Diamond Week in New York is free for bourse members and approved members of the trade. Click here to access the registration form.